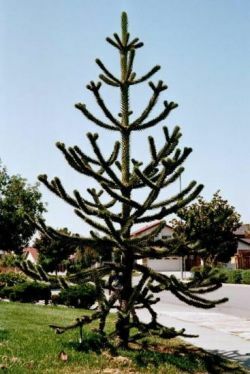 Comments: Native to Chile and Argentina, this evergreen conifer can grow to 100' with a 40' spread. 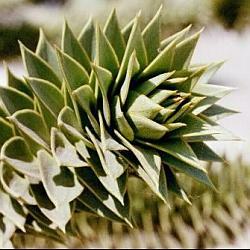 Distinguished from the Bunya bunya pine by broader and stiffer leaves that cover branches and trunk. Fossil records indicate this species dates back 60 million years.